Had Vasco da Gama been blessed with an app integrated with Google Maps, he could have reached India much earlier and discovered more territories than what he actually did. Unfortunately, he was not. But, you are. Thanks 21st century has a different picture. 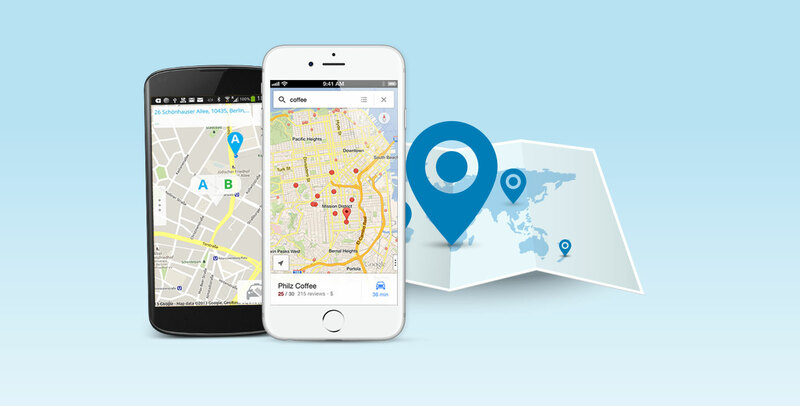 Every credible web and app development company is offering Google Maps integration service. Today, you can empower your customers with web or app having Google Maps embedded in it to let them find your store easily with just a click or tap. For a business website, Google Maps integration is pivotal as partners or customers are keen in knowing the physical location of a company they are about to do business with. In business apps, you can skip it at times while offering services where the consumer might not be interested in the location information. However, when you are offering services linked with hospitality (ride, travel, entertainment, restaurant, etc), healthcare, productivity, retail (in-store option), logistics, it becomes a must to equip your app with a map. Apart from Google Maps integration, at Root Info Solutions, we can embed other maps like Leaflet, Mapbox, Apple Maps as per your demand. Our mobile app integration experts also keep a watch on the User Experience across different device form factors while connecting the app or website with a map. We customize not just the look and feel (styling, like markers, polylines, ground overlays) but also the behavior of the map. We make it work based on the user?s interest and need. Also, we make the interaction of the user with the map better enabling them to control the maps with gestures (scroll, zoom, tilt, rotate, etc.). Benefits? Users can find location information they need in a quick and easy manner, no matter what device they have and where they are, at home, in the office or on the go. Usually, all websites and web apps that we developed are integrated with some of the other type of map. Below are the apps that we have updated recently with Google Maps. Everything we do is aimed at increasing the engagement and user-satisfaction. Needless to say, who else is going to benefit from. Curious to know as how users are interacting with your app or its map? Well, we won?t disappoint. Get business intelligence through analytics tools like Google Analytics, Mixpanel and Flurry Analytics and improve your app or business model to stay relevant with time. Whether you need to get a fully-featured website or app built from scratch or just to polish an existing one, expertise of Root Info Solutions is just a click away. Fill the Form to get a free quote. March 05 2018Why Should Startups Focus on Android App Development?